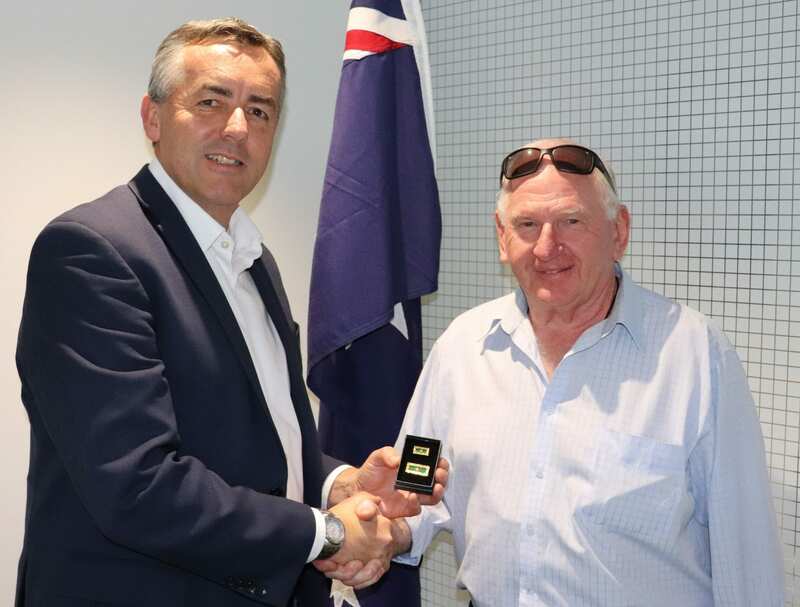 Federal Member for Gippsland Darren Chester in his role as Minister for Defence Personnel this week presented a unit citation to local veteran, John Kenihan. Mr Kenihan, who lives in the Sale area, received the citation for gallantry for the Battles of Fire Support Bases Coral and Balmoral. Mr Chester said Mr Kenihan was a national serviceman who served with the Australian Army from February 1967. “John was deployed to Vietnam in December that year with the 1st Independent Armoured Squadron Workshop, which was later re-designated as the 1st Armoured Regiment,” Mr Chester said. “During his deployment, John participated in the Battles of Fire Support Bases Coral and Balmoral in May and June of 1968. He returned to Australia on October 1968 before his discharge a month later. “There’s no greater contribution that anyone can make to our nation than to put on a uniform to serve their country. The citation is among a number of awards Mr Kenihan has already received, including the Vietnam Medal, Australian Active Service Medal 1945-75 with clasp ‘VIETNAM’, and the Australian Defence Medal. The Unit Citation for Gallantry for the Battles of Fire Support Bases Coral and Balmoral is awarded in recognition of the extraordinary gallantry displayed by members of the 1st Australian Task Force (Forward) and associated units, including the 1st Armoured Regiment who were deployed to area of operations Surfers between May 12 and June 6, 1968.